I last used Facebook in early 2011 in order to communicate with a client who was using it exclusively n place of regular email. Once that engagement completed successfully, I closed my account but not before I was convinced that those who choose to use Facebook should be more careful than they are. When you sign into other services, sites and apps using your Facebook login, you give Facebook permission to know everything you do while using it. If you’re cool giving them access to your spending, dating, eating, shopping, medical, political and browsing habits, then keep doing it. Sites that offer you the choice of logging in using your Facebook account add all of your activities to the dossier Facebook has on you. Be advised. That goes too far for my comfort level. If you agree and stop using Facebook to log into other sites, take it a step further and unlink sites where you’ve done this in the past. In your Facebook account, choose Settings >>> Apps to view sites and apps linked with your account. I recommend you unlink them all. Don’t accept friend requests from people you don’t know. Many Facebook users still accept friend requests from people they don’t know and even more accept friend requests if they have a friend in common. Do you think scammers don’t know this? Why do you connect with every single person from the past you’ve ever known? Unfriend people you don’t know. The more people you connect with, the more risks you take. Take them on people you actually know. If it’s not obvious, I’ll state it for the record: never share your real birthday with a site, app or service, unless it’s for a financial services account for security purposes. It’s not easy. People who you know, who know when your real birthday is, will sometimes wish you a happy one on the correct day. Couple this to the apps, services and sites you may have given different birth dates to that are now linked with Facebook. Even if you’ve made sure Facebook doesn’t know your real birthday, it knows it’s fake now because it doesn’t match with dates you’ve used elsewhere. Used the same date? Prolly doesn’t matter after at least one person wishes you well on the correct one. While Facebook has designed and implemented some new tools to identify fake stuff, it remains very permissive of content in general. Primarily because it is a business. The point of their efforts is to make money selling targeted ads. So, content in general is money and its legitimacy is a matter of interpretation. Content that gets “disputed” is called into question, however, it is still true that the more controversial a post sounds, the more skeptical we should be. It’s important to consider the original source of anything posted. If you’ve never heard of a source, chances are good that they’re chock-full of ads poised for you to click on something. Think you can spot a fake account? It’s not always easy. Use reverse image search tools to verify people are who they say they are. What’s a “reverse image search tool”? 1. Save someone’s profile photo URL– the smaller image at the top of their profile — and right click or touch and hold (depending on the device you’re viewing it on). 2. Choose “copy link to image” or “copy”. 3. Paste it into Google or TinEye to do a reverse image search. Sleuth out other signs of trickery. Make sure businesses are legitimate before you simply “Like” them. Check the number of likes they have and how frequently they post. It’s not uncommon for “businesses” to have a million likes and little or no content at all. 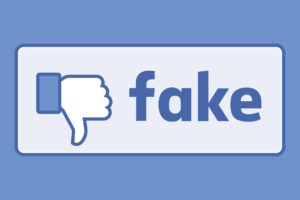 It’s simple to pay third-parties for likes but friends, photos and activity with real connections that aren’t linked to a single source are tougher to fake. Share insights with real, living, breathing family and friends. Facebook’s algorithms constantly change, same as the ways and means to exploit them. Notice something new? Spread the word. Turn others onto trickery you discover as quick as you discover it. Same for any settings and/or services that can help secure privacy and improve our experience. Last, but not least: trust your instincts. If the service is free, remember: you are the product. Getting value in return takes effort on our part but it isn’t impossible. Previous Post Antivirus vs. Anti-Malware: What’s the Difference?